Review Breidenbacher Hof, a Capella Hotel in Dusseldorf. Contribted by feature reporter Jens Hoffmann. A 5-star higlight in every sense of the word. The hotel offers 85 generous and luxurious guest rooms, as well as the 21 exquisite hotel suites. The Breidenbacher Hof setting stylish standards and embody exclusive cosmopolitan lifestyle in my hometown Dusseldorf. It combines modern features and amenities with the rich tradition and heritage of the past. The traditional hotel looks back on a colourful history with several changes of ownership, but none of them could harm the elegant Grand Hotel. The myth Breidenbacher Hof is alive. The hotel belongs to the exclusive brand of Capella Hotels and Resorts and offers its guests premiere amenities thats why the Capella Group received numerous national hotel awards in Germany. Celebrities like George Clooney and Paul Cartney eg love this place. All rooms and suites provide modern luxury: three telephones, one of which cordless, flat screen TV’s, complimentary wireless internet, iPod port, DVD player upon request, a central electronics control accessible from the bed, remote controlled lighting, curtains, and air conditioning, as well as a bar stocked with soft drinks free of charge. The central location makes the hotel an ideal starting point for shopping and sightseeing. Top tier luxury shopping facilities such as Tiffany’s, Michael Kors or Hugo Boss are right at your doorstep. steambath area and a state-of-the art fitness center. A personal trainer will create a tailored fitness programme for individual needs. 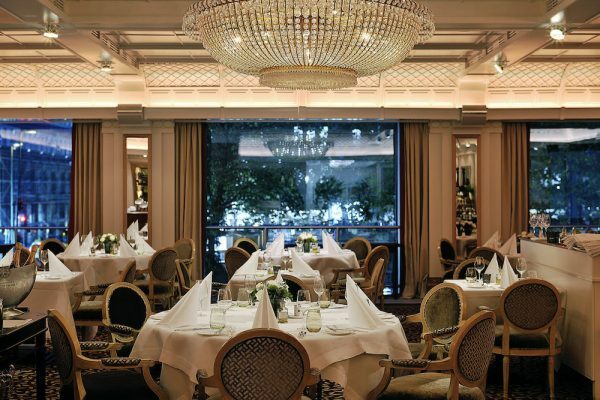 Culinary experiences are revealed at the Brasserie “1806”. The Brasserie “1806” seats over 65 guests, who can enjoy a magnificent view of Düsseldorf’s historic downtown through the tall windows. Executive Chef Philipp Ferber uses fresh, regional ingredients to create local as well as international cuisine. The Capella Bar is another highlight at the Breidenbacher Hof. 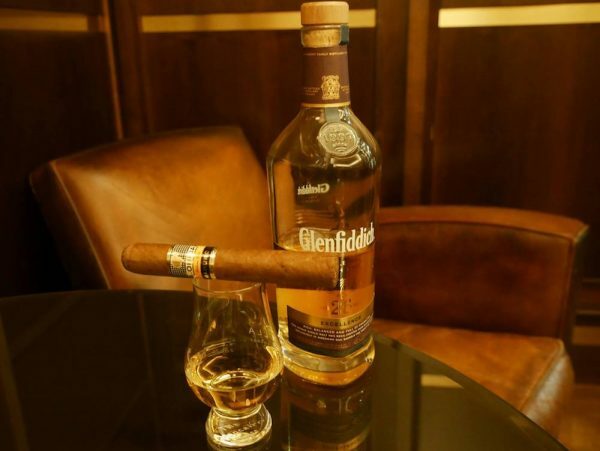 In the Smoker’s Lounge, guests will find the largest walk-in humidor in a European hotel. Cigar enthusiasts will enjoy the selection of over 124 cigars. In the Lobby Lounge guests are greeted by a pianist playing on a Bechstein grand piano. Starting at three pm every day, the traditional “Afternoon Tea” is celebrated with scones, sandwiches, and homemade gateaux. Sophisticated style at its best. The press trip was supported by Ratschlaeger Agency – Dusseldorf. Photos by Breidenbacher Hof & Jens Hoffmann.